Today, we use computers for so many tasks in our day to day life. Hence, we store a large amount of data on them. Usually, Hard disk provide a permanent storage medium to store this data. We can store audio, video, text, images, software and our important data in hard drive. In some cases we accidentally format or delete our data. Due to some virus, power failure we lose our important data. In some situations, the files are very important and must be retrieved. So we have to recover our hard disk in order to get back our data. Hard disk recovery is process of scanning hard disk sector and recover deference data. When we format a drive or delete some data it is not permanently deleted instead reference to this data is deleted for reusing this space by overwriting it later. For hard drive recovery we use some special software’s to get back deference data. Because computers are used in every field therefore people must be aware about to recover deleted files from hard drive in order to get back their lost data. If you lost your data and don’t know how to recover it then this post is really helpful for you. Hence, in this post we provide you easy hard disk recovery steps of different tools. How To Recover Deleted Files From Hard Drive ? 1. EaseUS Data Recovery Wizard (For Windows And Mac). 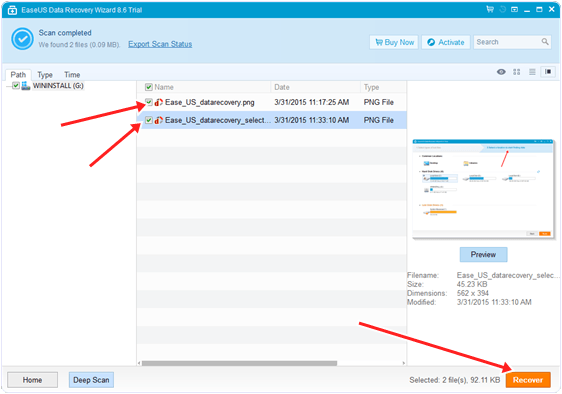 Steps To Recover Data Using EaseUS Data Recovery Wizard. 2. Stellar Phoenix Windows Data Recovery – Professional (For Windows only). 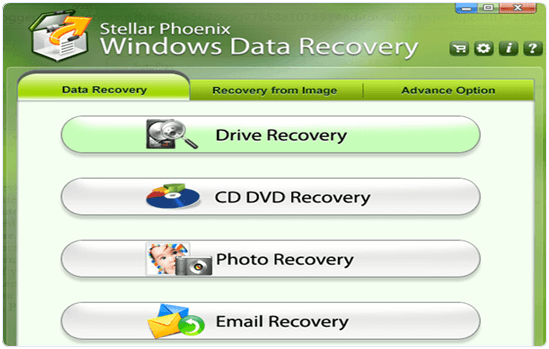 Steps To Recover Data Using Stellar Phoenix Windows Data Recovery. The best free hard drive data recovery software – EaseUS Data Recovery Wizard Free Edition, reconstructs lost files, regardless of whether they were deleted accidentally or are inaccessible due to a crashed hard drive, hardware failure or virus infection. If you are having hard drive problems, it’s important to let a professional handle data recovery so further damage is not done to the hard disk, making data or file recovery impossible. EaseUS Data Recovery Wizard Free Edition, is available for both windows and Mac. It is compatible with all version of windows and Mac. Step 1. Download and install EaseUS Data Recovery in your system. Step 2. 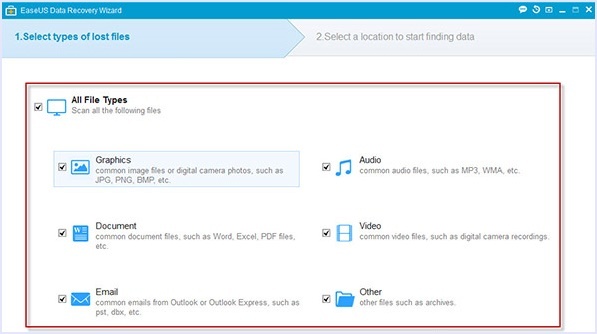 Double click the icon and Launch EaseUS Data Recovery Wizard and select the file types you want to recover. Then click Next button for next step. Step 3. In the next step you have to select the drive which you want to recover and press scan button. Step 4. If you lost your partition, select Lost Disk Drive and Scan to continue the recovery Process. Step 5. After scanning the drive you will see the list of deleted files. Step 6. Then, tick the check box in front of the files which you want to recover. Step 7. After selecting the files you have to press recover button. Then your files will store in the recover folder. Stellar Phoenix Windows Data Recovery – Professional is a basic data recovery utility. It has dedicated modes that allow for the recovery of drives (and file data), CD’s and DVD’s, photos, and E-mail messages.I particularly liked this utility’s advanced options. It features the ability to clone a drive so that you don’t risk further damaging your only copy of the data. There is also a feature that lets you create a disk image, which you can restore data from later on. A Drive Status function lets you view detailed health information for a disk. Stellar Phoenix Windows Data Recovery – Professional sells for $99.00, but a free trial download is available to recover deleted files from hard drive. The Save option is disabled in the free trial. Step 3. Select drive from the given list that you want to recover. Step 5. 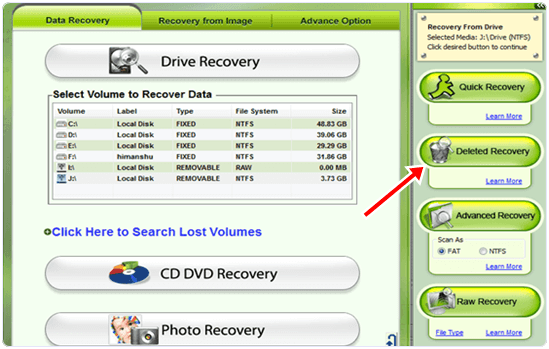 Then, select advance option if you want to recover a formatted drive. Step 7. Then tick the files you want to recover and press recover button. Hence, your files will now be recovered. In conclusion, This is the best way to recover deleted files from hard drive in case you ever get in such a situation. For any assistance or queries, leave your comments below.